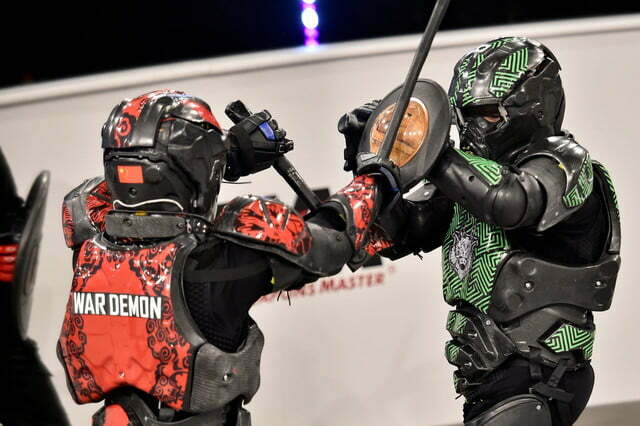 Remember that crazy Australian startup that wants to resurrect gladiator fights by equipping martial artists with high-tech body armor? 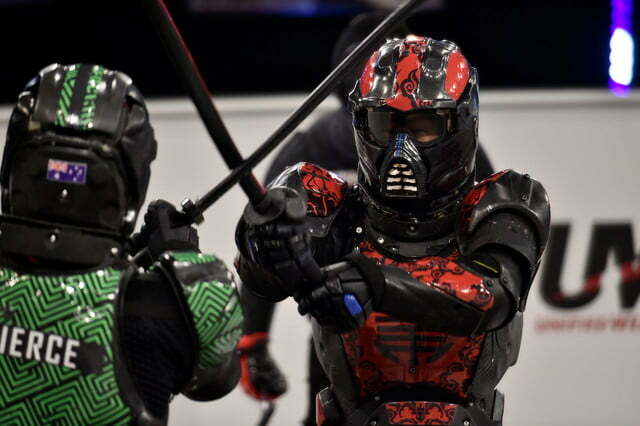 We first came across the group — which goes by the name Unified Weapons Master — nearly two years ago, and back then their suits were just barely past the prototype stage. 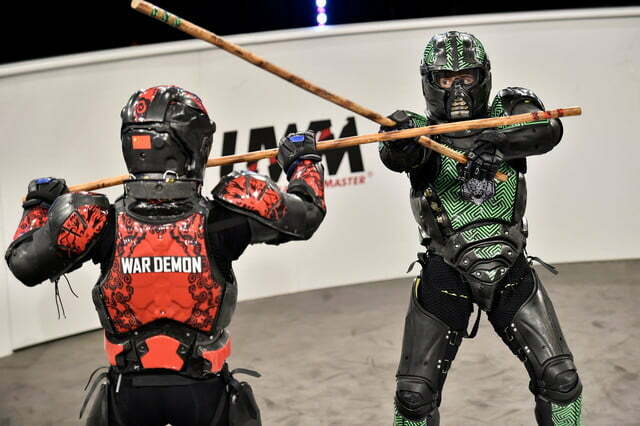 This week, however, the company has taken a big step toward making its dream a reality, and has begun battle testing a new-and-improved version of the original suit. 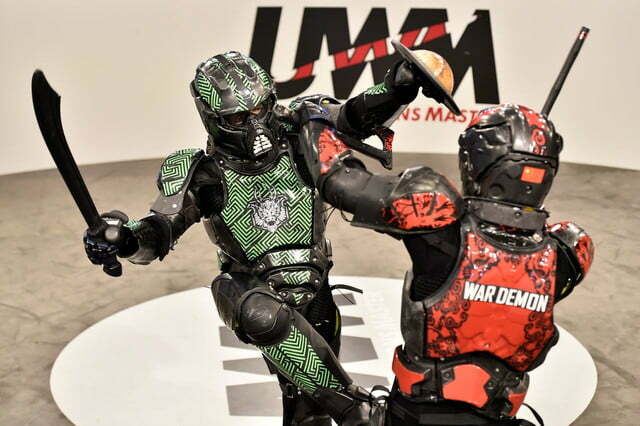 The new suit — dubbed the Lorica Mk II — might not look very different than its predecessor, but under the hood, UWM has given it a wide range of technological upgrades. Tucked beneath the armor’s sandwich of impact- and penetration-resistant materials, the MK II boasts better sensors, more breathability, and less bulk — allowing fighters to move more freely, but still be protected from weapon blows. 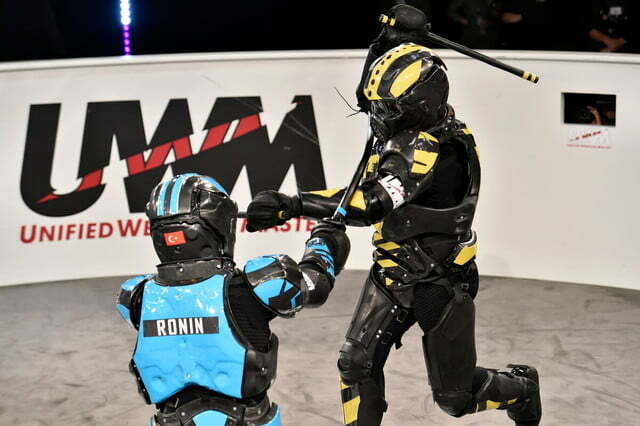 On top of that, UWM has also been working with defense contractors and software engineers to improve the suit’s scoring system. During a fight, the Mk II grabs impact data at a rate of 10,000 samples per second (10kHz), processes it with an on-board microprocessor, and transmits the data wirelessly to a ringside scoring computer, where the force and location of each blow is displayed in real time. 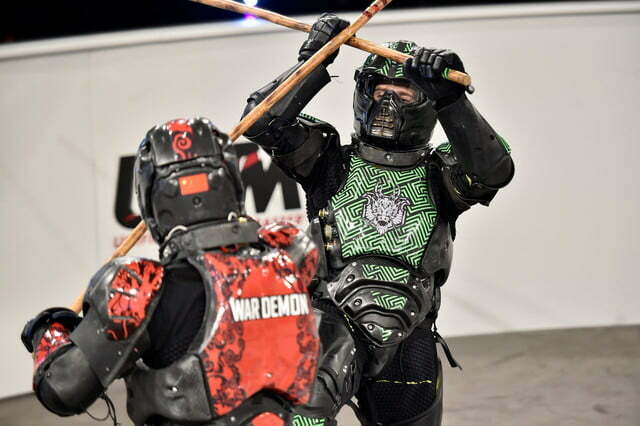 To put the new suit to the test, UWM brought together six weapons martial artists from all over the globe and had them duke it out in an underground “Vital Target Combat” test event in Wellington, New Zealand last week. But this is just the beginning. 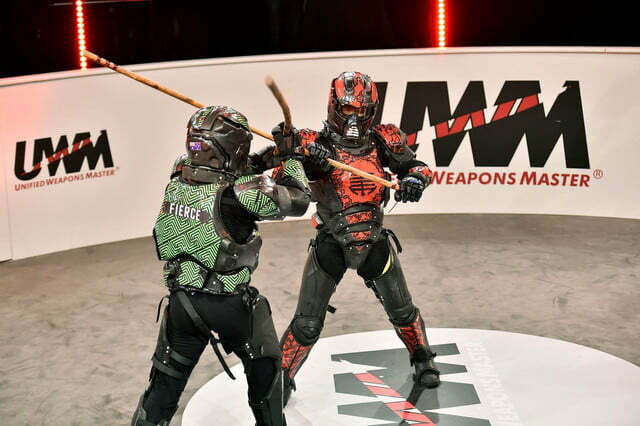 UWM still has a long road ahead of it before it can kick off the first no-holds-barred weapons fights, so the company is already planning a second series of underground test fight events for later this year. “Results from both events will be used to make further improvements to the armour in order for it to be ready for large-scale live events,” company representatives explain. Keep you fingers crossed and we might start seeing televised gladiator fights in 2017.